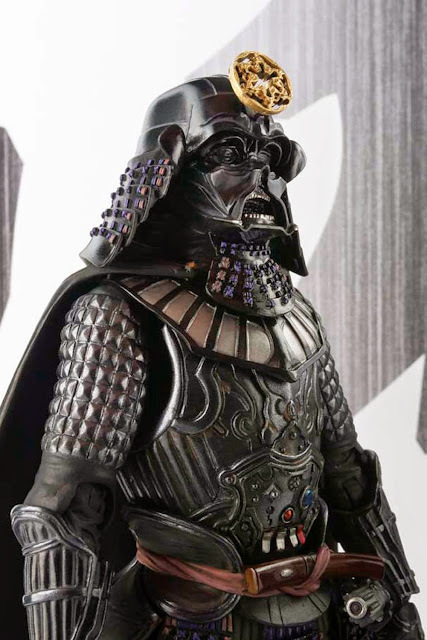 Everyone knows George Lucas drew inspiration from Akira Kurosawa's "The Hidden Fortress" for Star Wars, particularly the droids C-3P0 and R2-D2. 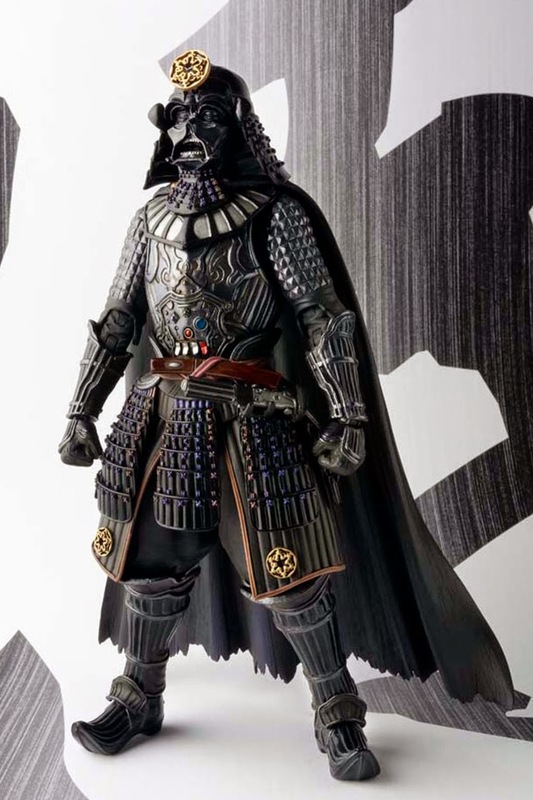 Not only that, Darth Vader's armor / overall look also was based very much on the Japanese samurai armor, specifically Date Masamune's samurai armor (Check out the 1/6 scale Date Masamune Samurai 12-inch figure released by DID posted in my toy blog HERE). 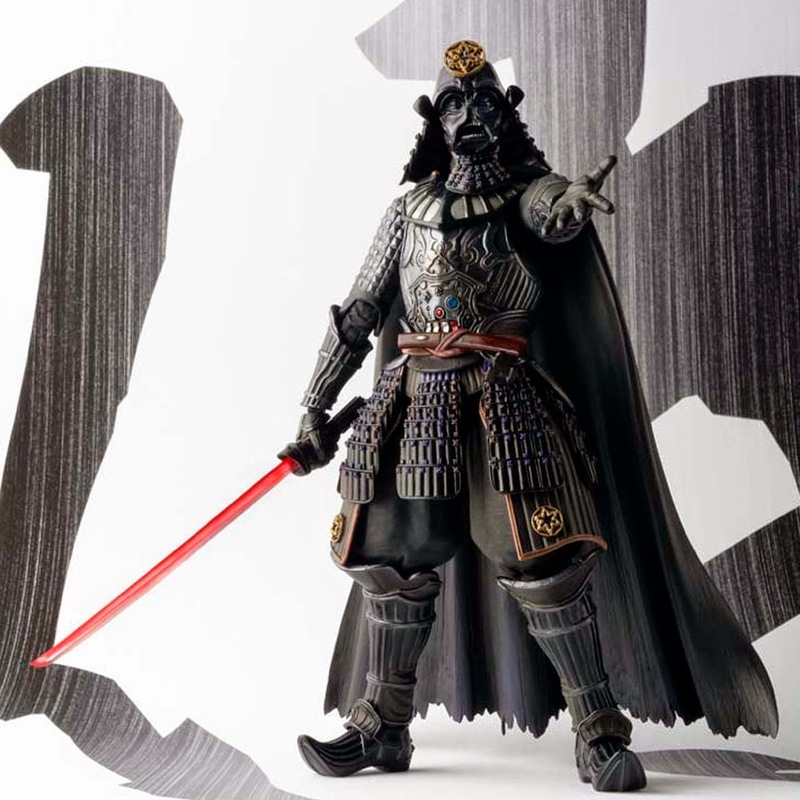 Fighting with light sabers were very much mimicking the sword duels of the Samurais. 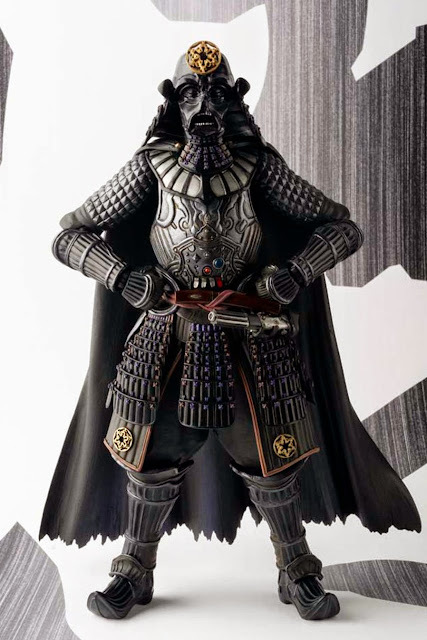 Bandai has picked up the Star Wars license, and the first figure they are offering (their centerpiece) is a Meishou MOVIE REALIZATION Samuraidaishou Darth Vader. 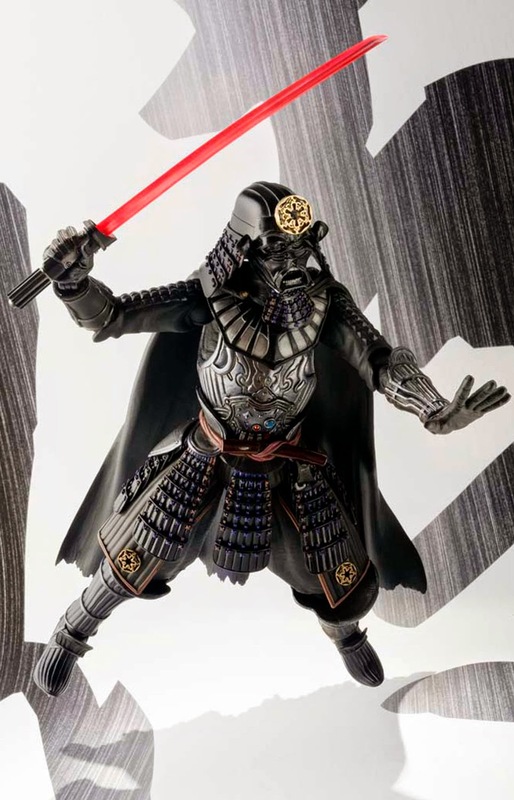 This action figure, designed by Takayuki Takeya, will be 18 cm tall, featuring three alternate hands and lightsaber pieces, will be shipping in December 2014. 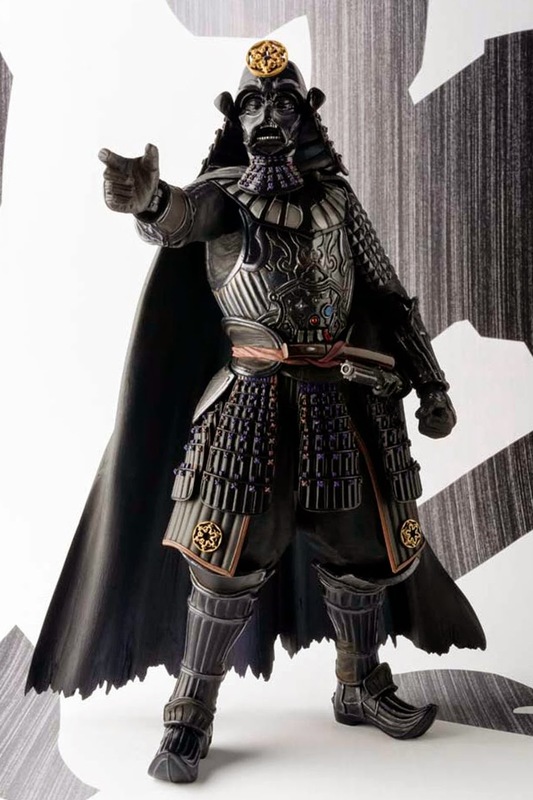 Bandai has released these images and information regarding their upcoming Star Wars Movie Realization Samurai Darth Vader. 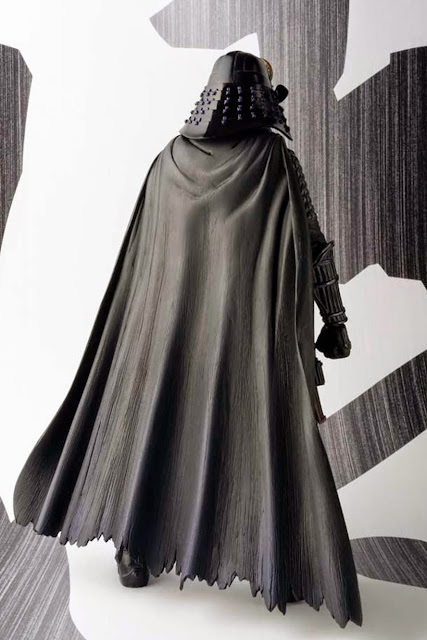 The figure will stand at 180 mm tall, which means it will just be over 7 inches tall. 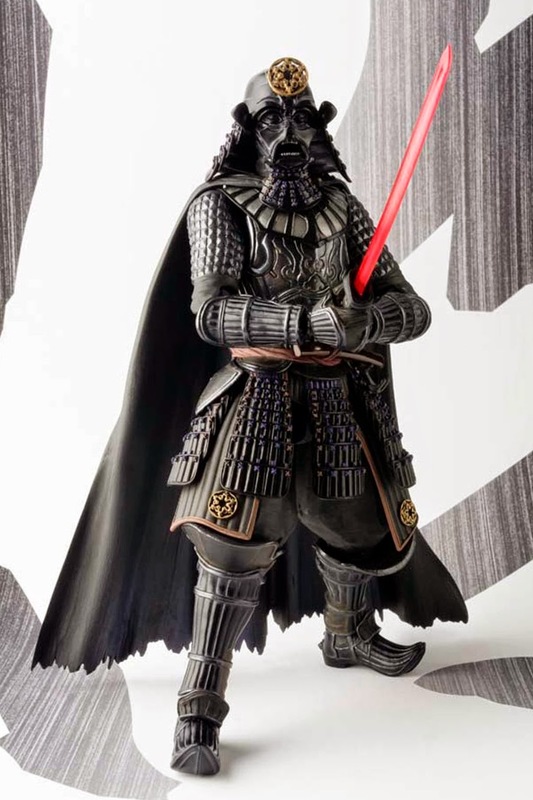 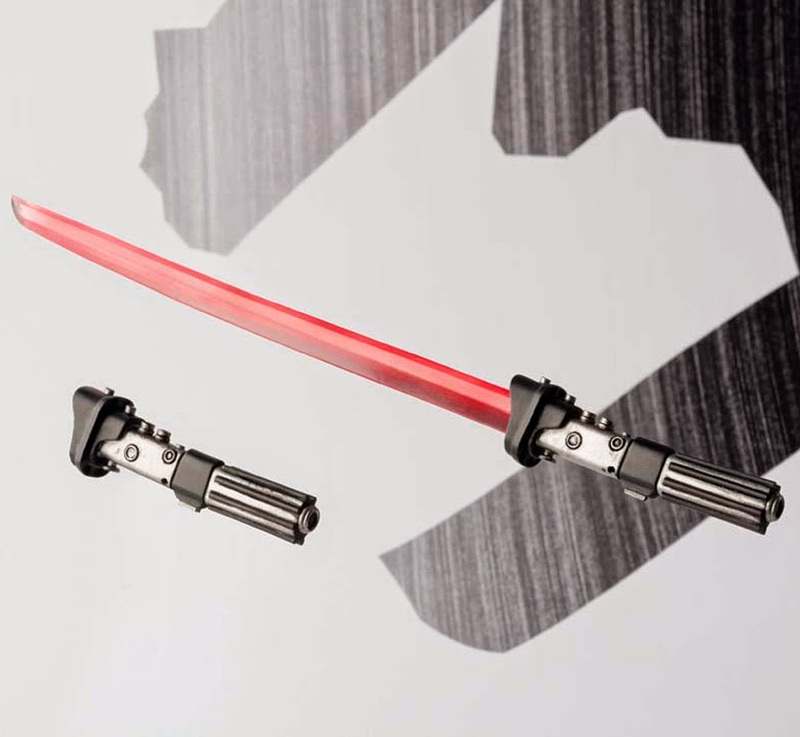 The Samurai Darth Vader will include a Lightsaber hilt, a fully extended Lightsaber, interchangeable hands and will have over 15 points of articulation. 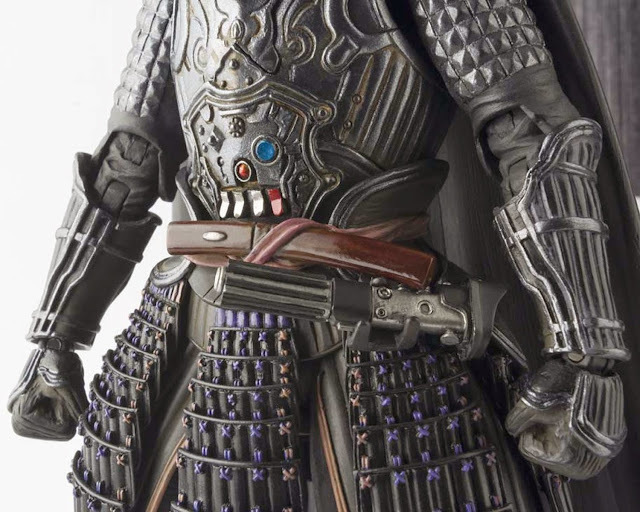 It’s cast in ABS and PVC plastics.